Brodsky Quartet | Music Matters | Because it does. Doesn't it ? A busy week this week for the department. 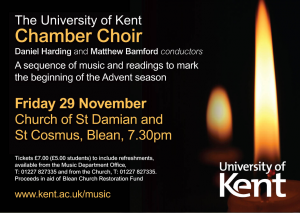 Wednesday’s lunchtime concert sees the continuing #Britten100 celebrations from the award-winning Kent College Choristers, as they bring his Friday Afternoons for voices and piano to the Colyer-Fergusson Hall at 1.10pm. Then, on Friday evening at 7.45pm, the Colyer-Fergusson Hall hosts a return visit from the Brodsky Quartet with its contribution to our tripartite centenary observance with music by Britten, Verdi and Wagner; there’s also music by Frank Bridge, Britten’s teacher, on the programme. 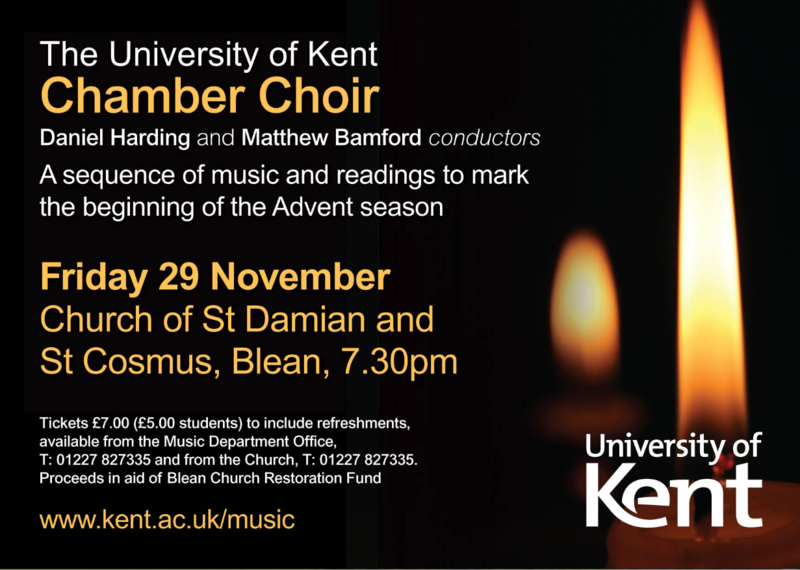 Finally, also on Friday evening, the University Chamber Choir will be marking the beginning of the Advent season with a sequence of carols and readings at the Church of St Damian and St Cosmus, Blean, in what seems to be becoming an annual tradition! Woven around the great Advent antiphons is a collection of carols old and new, poems and prose exploring the meaning of the Advent season. Plenty to celebrate this week. More details on our online events diary here. 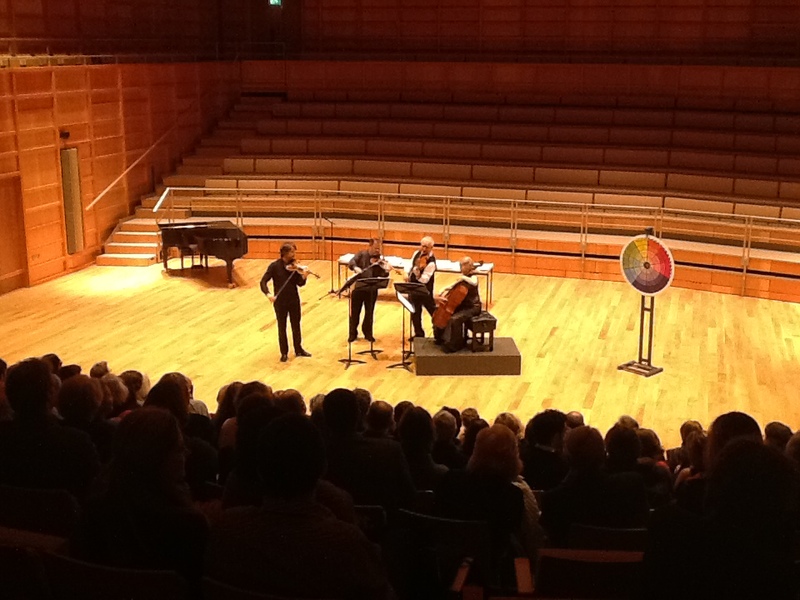 Last Friday night’s visit from the Brodsky Quartet was eagerly awaited for two very special reasons; not only was it their chance-driven ‘Wheel of 4-Tunes’ concert celebrating the group’s fortieth birthday, it was also the first formal concert in the new Colyer-Fergusson concert hall. 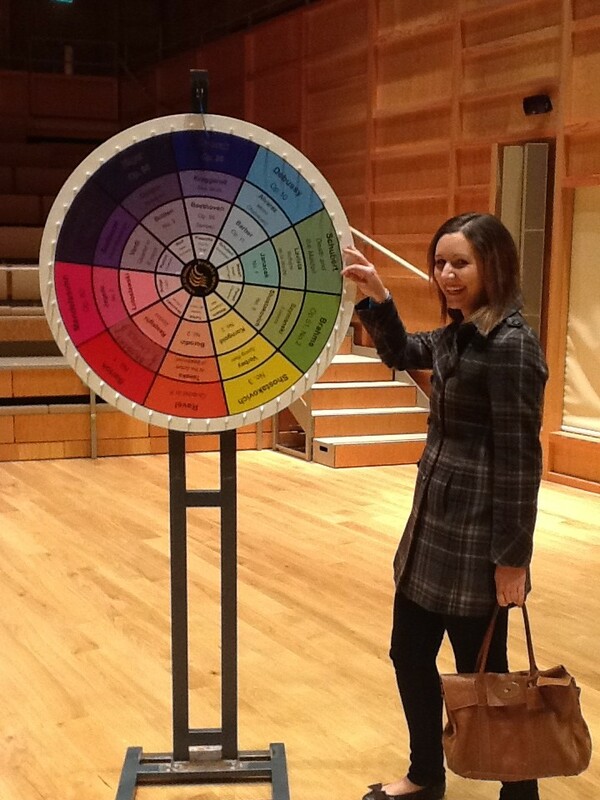 The programme, chosen on the night by the spin of the wheel, included turns (no pun intended!) 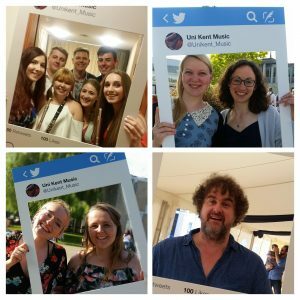 from Professor Keith Mander, a member of the public, Music Society Secretary and cellist Aisha Bové, and our very own Sophie Meikle. The pieces the wheel chose were by Piazzolla, Barber, Golijov, and Ravel, and displayed the quartet in their customary eclectic form, whether tango-ing in idiomatic style with Piazolla or exquisitely painting the famous ‘Adagio’ from Barber’s String Quartet. The final piece in the concert was Ravel’s String Quartet, and it was here that the Brodsky’s revealed their final masterstroke; equally robust and rainbow-hued, Ravel’s piece was shown, in the wider context of the other pieces which had appeared in the programme, to be a modernist piece, bristling with harmonic dissonances, spiky textures, sudden changes of mood and pace, and bold gestures that are often obscured by performance that prefer to embrace Ravel’s Impressionist tendencies. Whilst the quartet was fully alive to the rich and exotic harmonies and sinuous melodic lines that give Ravel this label, they also brought out Ravel’s more striking characteristics in a performance that drew fierce applause from a delighted audience. The inimitable Brodsky Quartet will be here on Friday, celebrating its fortieth anniversary with a concert combining classical music with the slick feel of a game-show. 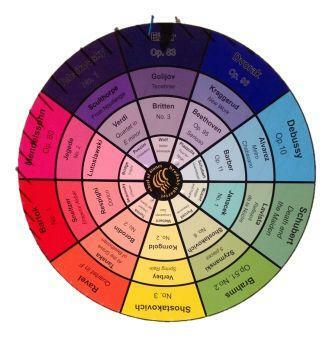 The programme will be decided on the night by the spin of a wheel, with each of the ‘four tunes’ selected from their extensive repertoire by chance. You can read a review of a similar concert the quartet gave a few months ago in an earlier post I wrote here. Tickets on the Gulbenkan website; come and be part of something extraordinary. 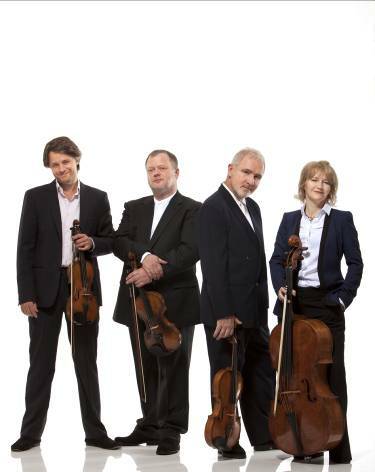 The Director of Music came in to work buzzing this morning, having been to Draper’s Hall in London last night to hear the Brodsky Quartet celebrating their fortieth anniversary in their ‘Wheel of 4-Tunes’ concert, which was broadcast live on Radio 3. 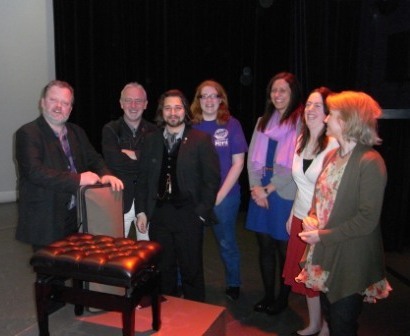 The concert, which by the sounds of it was a wonderfully engaging affair, saw members of the quartet introducing the ideas behind this novel approach to concert programming – pieces performed in the concert are selected at random by the spinning of the wheel – and talking about each of the pieces played. As will happen when they bring the concert to Kent in the autumn, members of the audience spun the wheel to select each of the works in last night’s concert; Stravinsky’s Three Pieces, the Lutoslawski Quartet in the first half, and Tunde Jegede’s warmly evocative String Quartet no.2 (chosen in a lovely touch by Holly, daughter of viola-player, Paul Cassidy) and Mendelssohn’s op.80 in the second half (the latter chosen by the presenter of the programme, Martin Handley). The Brodsky will be bringing the wheel, and all forty pieces on it, to the new Colyer-Fergusson Hall in November for what promises to be lively, entertaining and excitingly unpredictable event. 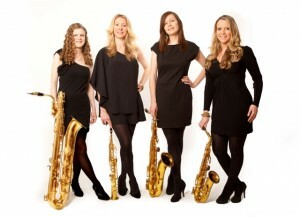 Not even the players themselves will know what will feature in the concert; you might hear Debussy, Ravel, Verdi, Beethoven, Britten, Barber – or even one of the pieces the quartet have themselves commissioned. Hopefully they’ll even bring the umbrella with them as well (you’ll have to listen later in the concert for the significance of that…). The concert was broadcast last night, and is available on iPlayer for a week here. And here are the Quartet performing another work by Jegede, Exile and Return, together with the composer himself, at the Bury St Edmunds Festival. I have had the immense pleasure this year of founding the University String Quartet along with Jean-Marc Grussenmeyer, Melissa Regan and Aisha Bové. 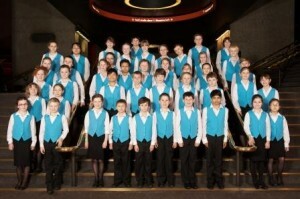 We have been rehearsing since December and are hoping to perform in the Summer Music Week this year. The Director of Music told us earlier this year that the Brodsky Quartet, a famous string quartet, would be performing in the Gulbenkian in March, and that we may have the possibility of tickets and even seeing the rehearsal. 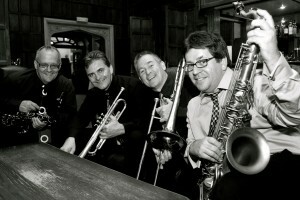 Of course, we were eager to do so as it is great experience to watch such a well-established professional quartet. The rehearsal was an interesting experience, particularly how they were able to give off so much energy whilst sitting down. The viola player literally leapt out of his seat during particularly loud notes, something that I intend to absorb into my own playing. Something that Jean-Marc commented on was the lack of verbal communication (relative to our own rehearsals); they were extremely focused and all the players were quite assertive with the music, suggesting stylistic changes (particularly the viola once more). During the concert the violins and viola stood whilst the cello was raised on a platform, which resembled a conductors platform. I thought this was a very clever layout as it allowed for the best playing without isolating the cellist. The energy in the rehearsal was nothing compared to the concert, particularly the first violinist that was able to switch between fast, even violent, bow strokes to the most smooth and quiet for Gershwin’s Lullaby. I don’t think I have ever been so absorbed in the music during a concert as I was with the Brodsky’s, and it really helped that one of the musicians gave an introduction so the audience was able to follow the narrative with the music. Lullaby was particularly effective; it contained the most beautiful of melodies (I would like to add that this made Aisha cry!) and ended with humour. The Viennese waltz also particularly stood out for me, as it was such a complicated piece but was performed brilliantly. Overall this was a wonderful experience for us and I am extremely grateful for the Brodsky’s visiting and for Sue allowing us to see them, and I can only hope that one day an aspiring musician is writing this about our own string quartet.